Millions of dollars are awarded annually for grants. Finding the right grant can be a challenge. Below are a number of grant links to get your started on your search for funding. The U.S. Department of Education offers three types of grants: Formula grants, discretionary grants, and student loans or grants to attend college. Formula grants, including Title I, use formulas determined by Congress and have no application process. Title I is the most often used source of funding Kagan, but you can also seek discretionary grants that are awarded on an application and competitive process. On this website, you can find grants based on eligibility. This website will provide information regarding the intent of the grant, the requirements, and the deadlines for submission. The slogan of this government grant site is: Find. Apply. Succeed. You can search all discretionary grants available without registering. 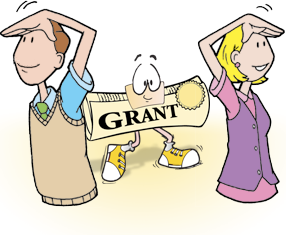 If you find a grant you want to apply for, you must register and you may apply. And you can track the grants you have applied for. These grants are typically designed for district-level implementation of a school improvement initiative; however, individual schools may often apply for funding if a clear connection can be documented to the district’s overall goals or a state-mandated school improvement target. Teacher Planet hosts this grant-finding website. They advertise that finding a grant is easy with this tool. You select your state, program category, and type of school and find grants in short order. You must enter your email address to search. You will receive grant alerts and other emails as well. Over the past 10 years NEA has awarded more than $7 million to fund nearly 4,500 grants to public school educators. Apply online for Student Achievement Grants and/or Learning & Leadership Grants. This website claims to be the “Fundrasing and Grants HQ for America’s Teachers.” They have an extensive database of grants you can search by type, by state, or see all grants. They also have a directory of grant writers you can hire. This site advertises to find funding fast for K-12 schools. Find grants by grade level, subject area, or deadline. Grants are also searchable by categories: STEM grants, Arts & Humanities, Technology, and more. The Institute of Education Sciences (IES) offers an email-based alert service that informs you about content posted to the IES website. Funding opportunities is one of the options so if you just want funding alerts, select only the funding opportunities checkbox. The School Funding Center claims to make it easy to find grant money fast with the most comprehensive grant database available. This is paid subscription service, but they have a free trial.